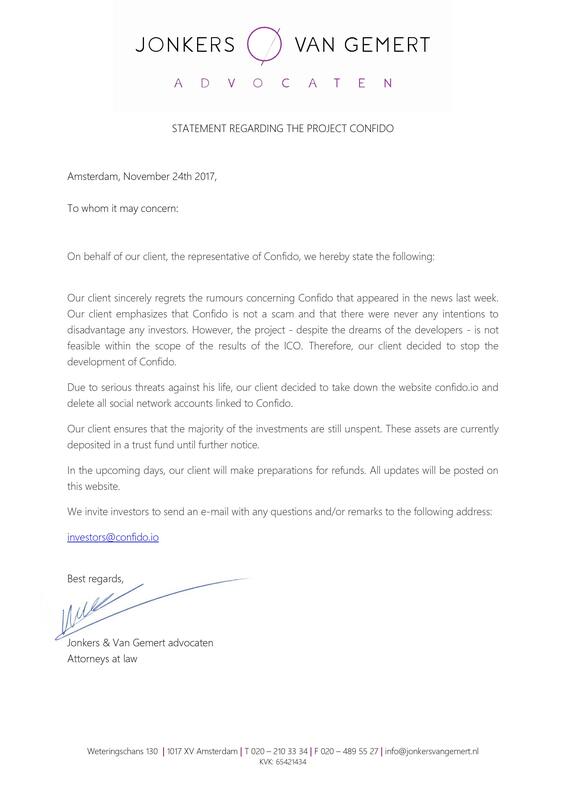 Dubious letter from supposed lawyers of Confido shared a statement that the investors are likely to receive refunds. A letter released by supposed lawyer of Confido, it claims that the people behind the project had no intention to scam its investors. However, the money raised in the ICO is not enough to advance the initiative, so its developers decided to shelve it for further assessment.